In this health conscious present-day society, a trend has already begun to show off — to turn everything light! 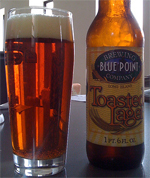 If ice creams, sodas, and pastries have their own set of ‘light’ counterparts then beer too has a light beer version. Beer is very much different from light beer in the aspect of popularity. Yes, light beer has become the most popular alcoholic beverage for several years now especially in the U.S. wherein light beer products take in almost 20% of the market share for alcoholic drinks. As stated, this can be attributed to how much the media have sensationalized the fad of light to the senses of the consumers. Most beer brands have below 5% alcohol content including light beers. However, the latter is called light most likely because of a much smaller alcohol or calorie content than regular beers. Some light beers have less calorie and alcohol content compared to their original beer predecessors whereas some, although they have less calories, still have the same alcohol content as their original beer brews. People tend to drink more light beers than regular beers. It is because the consumer will have the need or urge to drink more light beer because drinking a single bottle of such won’t give the same effect as drinking a bottle of regular beer. The alcohol content of light beers may have been slashed down to cut down calories. Take note, one gram of alcohol is equal to 7 calories and because the alcohol may have been reduced significantly, the drinker tends to take in more light beer just to achieve that certain ‘drunk’ effect. In this regard, drinking light beer is also said to be less satisfying to the casual beer drinkers because it makes less impact to them vis-Ã -vis drinking regular beer. Aside from cutting the alcohol percentage, light beers became light because some of its original carbohydrates (basically sugars) were trimmed down. Cutting down the carbs immediately implies less calorie content. With light beers being packed with fewer calories than regular beers, it has become the beer choice for the younger adolescents and female drinkers whereas the original beer is still left for the general taste of the male drinkers. 1.Light beer is more popular to beer drinkers nowadays compared to regular beer. It has become the latest fad; hence it is also the best selling type of beer. 2.Light beer often has less alcohol content than regular beers. 3.Although it is possible that light beer still contains the same amount of alcohol as regular beer, light beer often has less calorie content than regular beers. 4.Light beer is consumed more compared to regular beers since it takes a little longer for the light beer drinker to feel the impact of alcohol as compared to drinking regular beers. 5.Light beer is more popular to the young adolescents and female drinkers whereas regular beer is still popular among male drinkers. Julita. "Difference Between Beer and Light Beer." DifferenceBetween.net. December 30, 2016 < http://www.differencebetween.net/object/difference-between-beer-and-light-beer/ >. It’s being “drinken” more, not “drank”. Amateur lol and what’s with summarizing the same thing you just said, when what you said was only a few paragraphs in the first place? Just wanted to look even more amateurish?